Ah Whistler. This is my first time trying a brew by these guys. I don’t know why, but I usually scan over them in favor of other beers. For whatever reason the labels just don’t pop for me. Maybe it’s because they’re too cluttered or don’t showcase bright coloring? It’s always right there, staring me in the face. Silently judging me. Oh it’s ON now. Label features a woolly mammoth, which ties in to the ‘Black tusk’ name. Black tusk is apparently a hiking trail and an inactive volcano, which has literally nothing to do with beer. 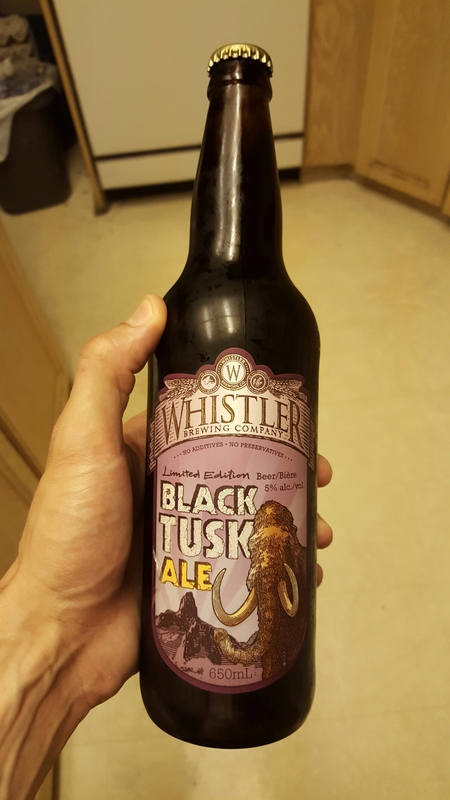 The bottle was nice enough to point out that no woolley mammoths were used in the brewing process. I’d be a combination of concerned and impressed if they were able to utilize an extinct species in the brewing of a craft ale. I think that’s probably pushing the boundaries of good taste, and likely tramples many health codes. This English dark mild ale pours a deep, rich brown with a minimal, puffy, tan head and little noticeable carbonation. The aroma is a fairly pronounced nutty, chocolate combo. Taste is much like the smell, although it’s not as potent as I thought it’d be. I’m mostly getting a dark roasted, nutty, chocolate malt base with a barely-there fruity bitter finish. Light notes of toffee spring up as well. Overall, this is a pleasant experience. I figured by the strength of the aroma that this was going to be a powerful taste, and I think it would have been less enjoyable if it were. 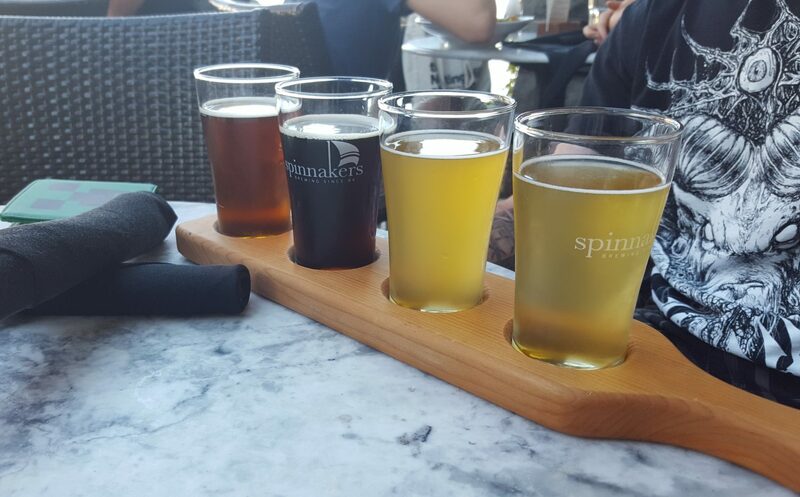 This beer benefits from the mildness of the different tasting notes. The chocolate and nuts work really well together but would be altogether too much if it was any stronger. But honestly, when do nuts and chocolate not work well together? Maybe if you have a nut allergy… Maybe. 3.5/5 In some alternate universe, they probably make this with real mammoth extract. In another alternate universe, mammoths make it with human extract. It’s a decent beer, probably made by humans in this universe.